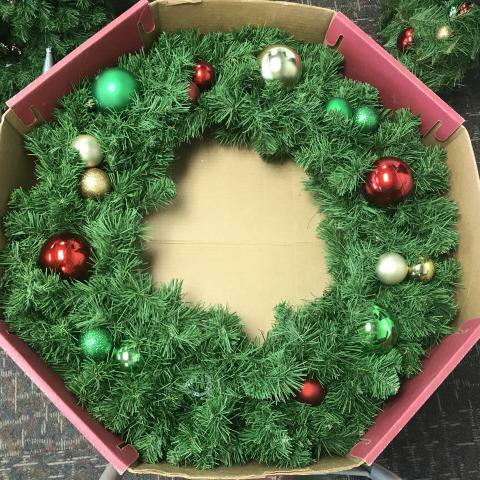 We have 7 holiday wreaths available for pickup. All are decorated differently and are gently used. Decorations can be removed or added. They measure 26 inches in diameter. Four wreaths are in wreath boxes. Three of the wreaths are not boxed. Free for pickup.